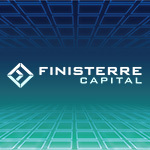 London (15th June, 2016) – Finisterre Capital LLP, the large London-based multi-strategy investment manager specializing in emerging market investments, implements Orchestrade as its core portfolio management platform for trading, risk management and compliance. Finisterre Capital partnered with Orchestrade to modernize its technology back-bone for trading, investment operations, risk and compliance. Finisterre Capital manages $2.9B in regulated and non-regulated funds, with multi-asset investment strategies across all global currencies, fixed income and credit. Orchestrade delivered a complete cross-asset, front-to-back solution for all trading, real-time risk and compliance functions. Post implementation, Finisterre Capital is benefiting from vastly improved efficiency throughout its investment operations, real-time view of risk as well as one centralized hub for all portfolio management and compliance activities.